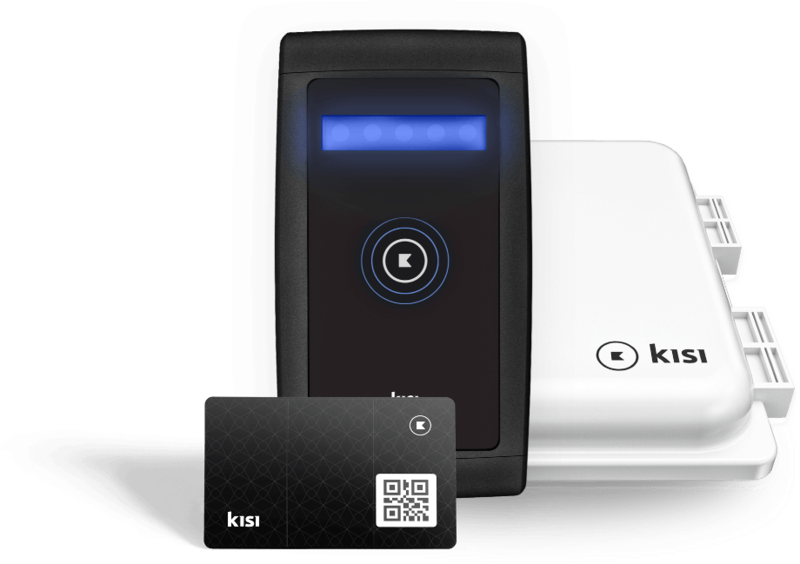 Kisi’s platform approach unifies access control, alarms, guest functions and automation workflows. 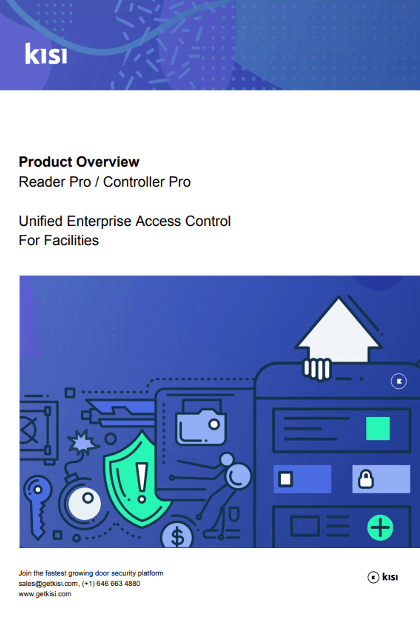 It's an ever-evolving security platform that grows with your organization. 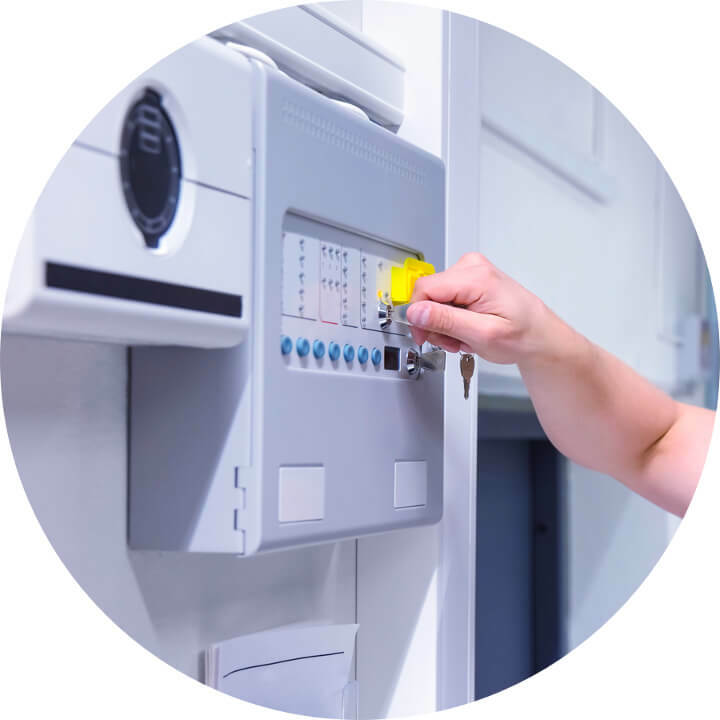 Install with your existing electronic locks, or as a new setup, and share multiple credentials with users through phone, card, tag or remote offering. Provision and de-provision access quickly. 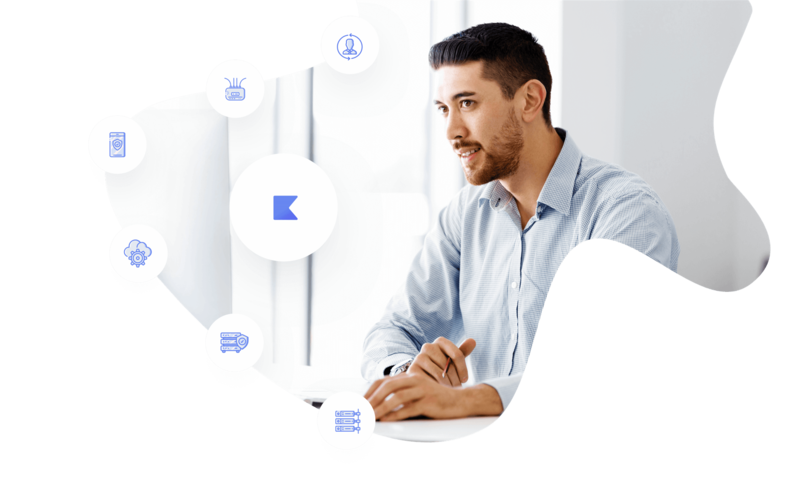 Kisi’s alarm dashboard shows all your alarm notifications in one place—from door monitoring alarms, you can see when a door is open or closed from anywhere— with usage alerts system and admin alerts. Share time restricted access, self-expiring access rights sent to your phone, separate management from regular employees via visitor group. 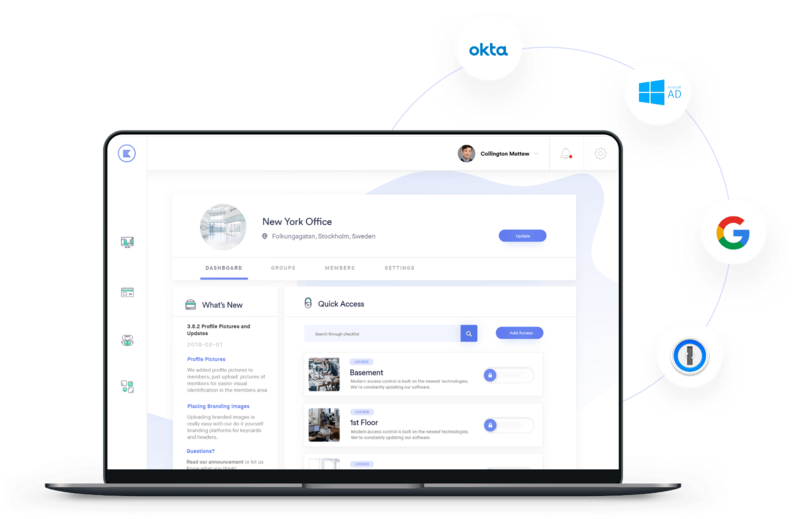 SSO for unified identity management.